Bad Credit Auto Lender Offers Pre-Approval Auto Loans to All Shoppers Regardless of Credit Score. The no credit check auto lender, Complete Auto Loans, is now offering pre-approval auto loans up to $35,000. With the newest update from Complete Auto Loans shoppers can now get instantly pre-approved for an auto loan up to $35,000. Being pre-approved for an auto loan before heading to the dealership can make the buying process must easier. 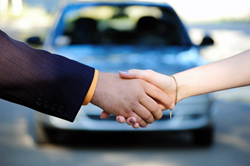 Although, this is a great setup in buying a new car, pre-approval is not always easy. With the newest update from Complete Auto Loans shoppers can now get instantly pre-approved for an auto loan up to $35,000. Regardless of credit history, shoppers can take advantage of the new pre-approval system from Complete Auto Loans. The only requirement for U.S. residence is they must make at least $350 per work in order to receive an auto loan.